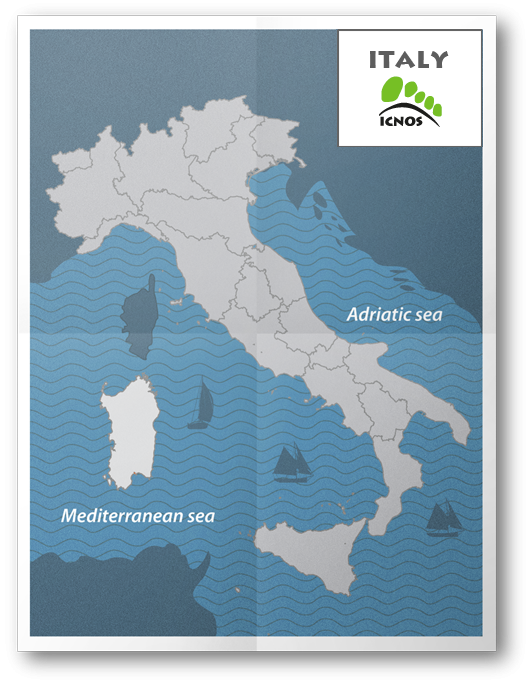 ICNOS Adventures: an Italian tour operator based on the Amalfi Coast. 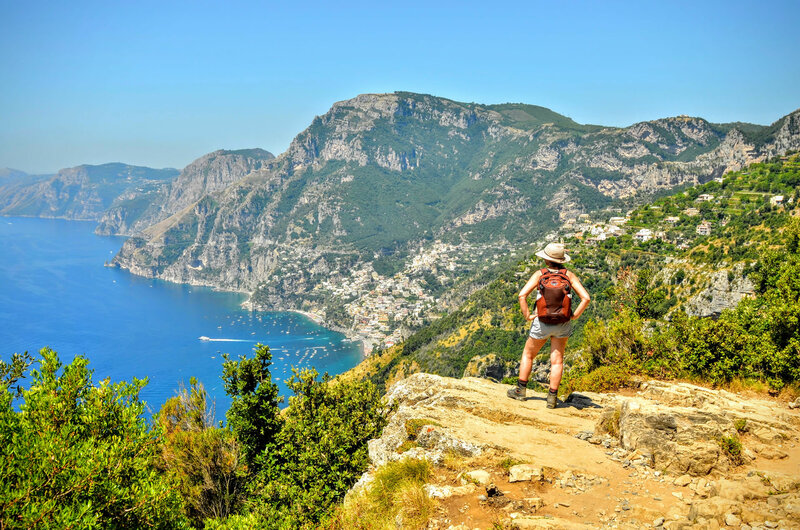 The Capri active tour, with its pastel-colored fishing villages and terraced hillsides covered with vineyards and olive trees, constitutes one of Italy’s most impressive landscapes. Enjoy Apulia by bike! You will experience the authentic side of Puglia, a region still proud to preserve its traditions, folklore and nature: culture is as broad and varied as the region's landscape. Discover an enchanting area, combining the pleasure of walking fascinating paths with the classic pleasures of Tuscany. Enjoy the stunning atmosphere of the Amalfi Coast staying in charming accommodations located along one of the World's most dramatic coastline. 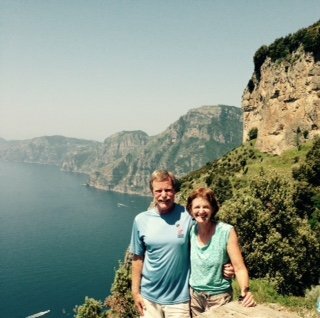 We recently returned from Italy and would like to let you know we very much enjoyed our self guided hike the “Jewels of Amalfi” which you arranged for us. The literature you provided at our first hotel was perfect, as over the next 8 days it guided us through some of the most beautiful countryside which we have ever seen. We really enjoyed the hotels you selected for us. They were clean, had friendly staff, many had amazing views from our room and the locations were a short walk to where we wanted to go (beach and town center). I’m very late is sending a message to thank you for arranging our trip this year. I have to say that we loved all the accommodations, all the recommendations that you provided in the detailed Trip Notes, and all the advice that you included in your communications. If we had to chose a favorite place, it would probably be the Hotel ​in Tremezzo. The view from the patio alone made it hard to leave the hotel to do any sightseeing… the location of the B&B in Venice, right on the Lagoon made it all worthwhile. It was the perfect place to stay in Venice. You could see everything in the harbor and easily get anywhere in the city, but you were just far enough away from all the crowds. Another plus was a gelato shop right underneath the B&B where we stopped every night on the way back from dinner. And once more, you were absolutely right about staying in Carona rather than in Lugano. We loved Carona and the food that we were served there was some of the best of our trip. Lastly, Rosso Segnale was another perfect B&B and our hosts were so accommodating and helpful that we wished we had more time there. Thank you again for arranging another perfect visit to Italy. I just wanted to drop you a line to say thank You for arranging such a wonderful trip. The instructions were perfect and the tour was absolutely fantastic! 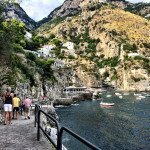 I fell in love with Positano and will definitely be back one day. 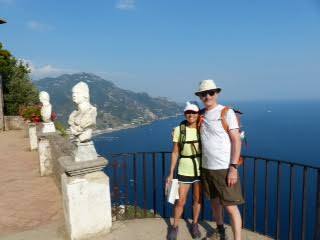 A huge thank you to you both for arranging such a perfect tour for us in September along the Amalfi Coast and to Capri. Your thoughtful and thorough printed instructions for the walks made each one a delight and the overall organisation, from drivers to the excellent hotels, meant we didn’t have to worry about a thing but just enjoy the wonderful scenery, the food, the people and the uniqueness of the area. An unforgettable trip. We would recommend you to anyone wanting to travel in this beautiful area – your professional and caring service is of the highest quality. Home again after a wonderful adventure in Amalfi coast. The plan and walking directions was well organized and also we were happy with the hotels. Special thanks to the very friendly and helpful people in Amalfi and Positano. They really were exceptional. Thank you for all. I think you may expect further interest in ICNOS from Iceland! 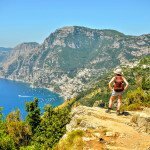 “We asked Marcello and Anna to arranged a few days of bike/hike around Amalfi coast. Marcello got us a great little hotel in the Town of Amalfi. He met us the first night with bikes and helmets, and packets of information were waiting for us at the hotel. Hotel locked the bikes overnight. Excellent TREK bikes, geared well for the up and down roads. Very good pedals so you don’t need clip-in shoes. We only rode a total of about 125 km in two days, and hiked two days. Make sure to have your own water bottles and gloves. Highly recommend. I just wanted to express to you what a wonderful tour we had and Monica was an absolute delight! We loved her! She is a great asset to your company! We will be sure to recommend your company. Everything was terrific! Thank you so much! We have been home from our wonderful Italian travels for almost 3 weeks and I would like to write a review for your company while the trip is still fresh in my mind. I couldn’t find a page for you on Trip Advisor is there one? Or is there another site that your guests use to write about your walking tours? 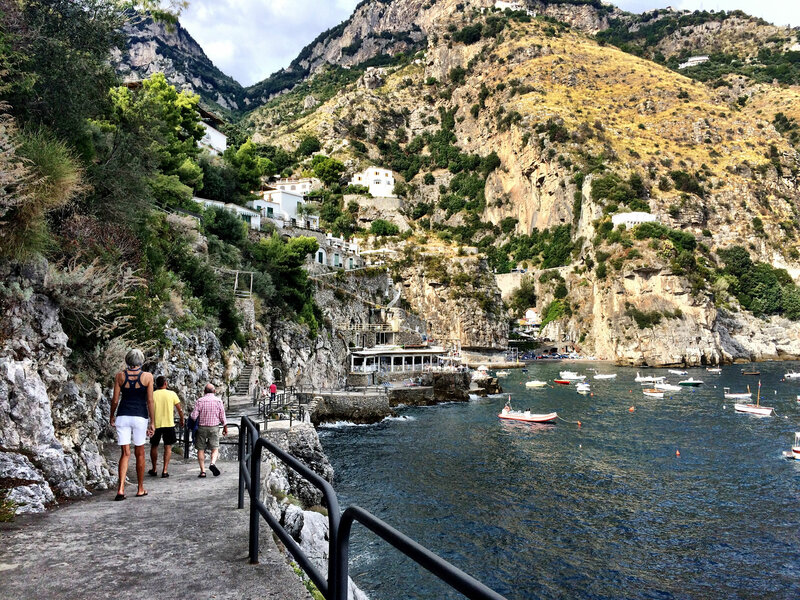 Your Jewels of the Amalfi Coast tour was the highlight of our month long Italian trip. The walks were superb and way above what I imagined. At times I couldn’t believe the beauty of the scenery as we walked through deep fir forests and hiked along breath taking coastal trails. Your detailed notes were spot on and so helpful. I enjoyed all the cultural and historical information and your dining recommendations were also useful. Thanks for responding so quickly when I emailed you from Lucca looking for hotel suggestions in Siena. The list you gave us got us to the Hotel Elda, a very charming accomadation run by a group of enthusiastic and warm young women. We have been telling our friends about your company and hope to take another walking tour with you in the future. Thanks for taking care of us so well. We finished our trip on Friday and arrived home late Friday night. All four of us enjoyed it immensely. All in all, our trip was wonderful. We were reined in a bit by bad weather in Cinque Terre, but Levanto is a nice town to wander on a rainy day. We didn’t expect to be as impressed with the Leaning Tower and Duomo and Baptistry in Pisa, but they are AMAZING. My husband almost would not leave Greve, especially after we spent a delightful day in Montefioralle. We climbed the towers in Siena and Florence and saw as much as we could in the time we had available. We loved it all. Now we are all falling back to our everyday routine but full of wonderful memories. I want to thank you for planning this great trip for us we are very satisfied with everything and I am not afraid to state that everyone in my group is overjoyed. The scenery was fantastic, the walks were different every day, the information package was faultless, the hotels where nice, the restaurants were good, the Italian people are wonderful and you of course were always by our back ready to assist. (One of my friends said to my yesterday “ this trip exceeded my expectations by far even though my expectations were very high” and I think we feel all the same J). In other words thank you so very much for everything. If you and your colleges are planning on visiting Iceland one day we will be more happy to assist you in your planning and recommend nice places to visit. 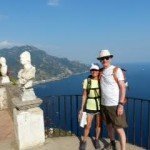 “We cannot applaud ICNOS ADVENTURES and Anna and Marcello enough for the perfectly choreographed “Jewels of Amalfi Coast” self guided tour that we enjoyed in mid May 2015. They could not control the perfect weather, but their attention to every detail did guarantee we would have a stress-free adventure. Having so many specific bus and train schedules to choose from, options on the hiking itineraries, great restaurant recommendations and wonderful, well located hotels all contributed to a vacation we will always remember with incredible memories. Although there are other tour companies to choose from for these types of trips, we selected them because they are locals and know their region better than outsiders. We indeed made the right choice! Anna helped us so much with preplanning suggestions for the 2nd half our Italy holidays as well – in the Umbria region. The maps, daily directions and other valuable literature were great resources as well. Bravo and grazie mille for such extraordinary service. Dottie is a former travel agent with over 20 years of experience, so she can be hard to please. This was a trip of a life time and mapped to perfection.